Fiber Dome Stubbed Terminal suits aerial/buried applications. Fiber Optic Bulkhead Connector has 70 dB (min) return loss. Expanded Beam Contact exhibit 1.0 dB typ insertion loss. 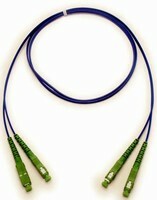 Fiber Optic Patch Cords target CATV market. 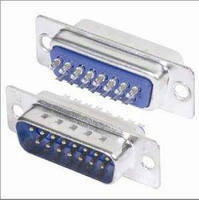 Suitably equipped for network installers utilizing high-speed video networks, SCRATCHGUARD(TM) Fiber Optic Patch Cords virtually eliminate damage to connector due to repeated use. Cords combine Angle Polish Connector with HLC technology, which provides mating surface durability and low loss, delivering product that minimizes reflection, cutting down on interruptions in network. Fiber Optic Connectors have cylindrical shape. 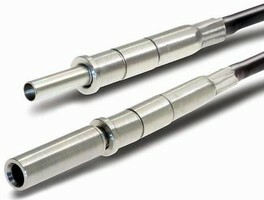 Designed for use in ruggedized and environmental applications, fiber optic connectors use MIL-DTL-38999 Series III connector with special insert that accommodates commercially available MT fiber optic ferrules. Each MT ferrule can accommodate up to 24 fiber optic channels for total of 96 circuits in connector shell size 21 package. 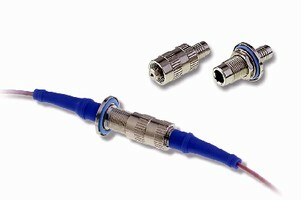 Fiber Optic Connectors suit harsh environments. 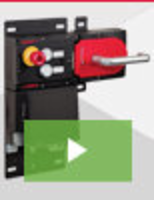 Installed with single jam nut, single-channel LxC-RÃ‚® Series includes keypad plugs and receptacles with various options for different environmental sealing requirements. Miniature units are suitable for aeronautic, military, and medical sensors as well as in-flight entertainment and all radio signal conversion over fiber in severe environments.